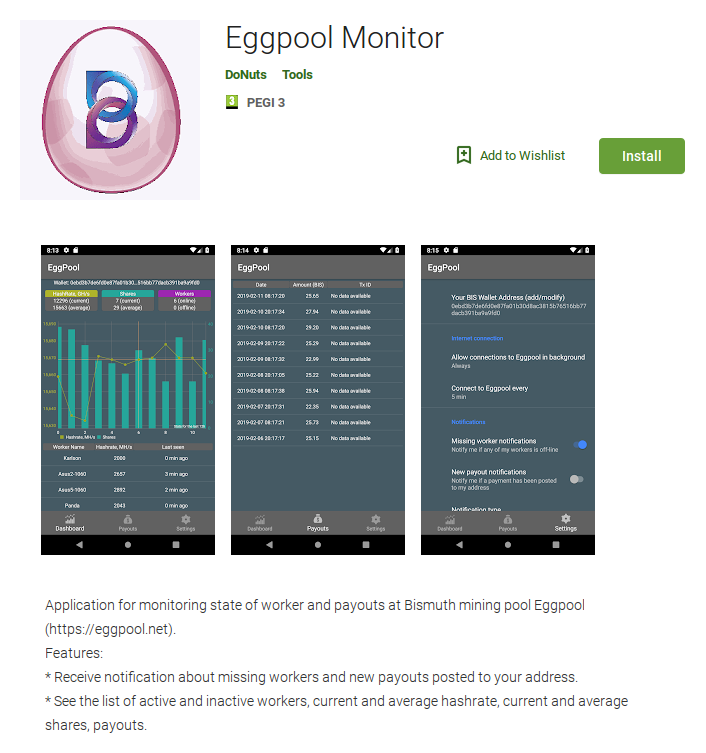 Thanks to our Discord user @Whatever, Eggpool now has its mobile app! It allows to monitor hash, shares, workers. The app is free and comes without any advert.